A dominant business phenomena over the last few decades has been the shift towards project-based management. Instead of traditional hierarchies, more and more businesses are bringing together diverse resources under individual projects. If you’re in the agency business, you’re already familiar with this approach. Project-based management has the potential to save costs and improve results for stakeholders as well as project teams. Success with a project-based approach, of course, requires effective project management. This vital skill defines how to plan, manage and deliver projects in an organized manner. In this beginner-friendly project management guide, I’ll show you how you can use project management in your own business. You’ll learn about the various phases in a project management lifecycle. You’ll also learn about its many processes and activities. Along the way, I’ll share resources to expand your knowledge and pick up advanced project management skills. Project management (PM) is the art and science of initiating, planning, executing, managing, and implementing projects. What is a project, you ask? And what does it mean to ‘initiate’ or ‘execute’ a project? I’ll answer these fundamental questions about project management in this section. But first, a few words about this guide. This guide is meant to be a primer on project management for beginners. It is written from the perspective of someone with no prior PM experience. Although the target audience is creative agency professionals, the takeaways from this guide are applicable in any industry. I’ve organized this guide into multiple sections. The first section will give you a brief overview of project management. The sections that follow deal with different stages of the project management lifecycle. Before we can define project management, let’s first define a ‘project’. Projects can be of any scale or complexity. Developing a website is a project, as is constructing a new city from scratch. Project management, therefore, is the process of managing a project. The person responsible for planning and managing a project is called a project manager. Large projects might have multiple project managers, often reporting to a program manager. The two most important elements in any project are its stakeholders and resources. Stakeholders are all individuals or organizations that are involved in or stand to benefit from the project. Clients, senior leaders in your business, and even people who might use the project are all ‘stakeholders’. Resources are human or tangible resources you need to complete a project. An artist who creates a design and a 3D printer that brings it to life are both examples of ‘resources’. In a way, project management essentially means managing resources effectively to deliver on the expectations of stakeholders. Understand this core concept and you’ll understand project management. Earlier, I mentioned that a project manager is the person responsible for managing a project. But what does managing a project actually entail? Broadly speaking, it means combining strategy and operations. You plan a project’s progress, working with stakeholders to meet their strategic goals. Then you execute on the plan, managing resources to deliver results. If you were to see a project as a microcosm of an entire organization, the project manager would be its CEO, COO, CFO and CHRO combined. A good project manager is a change agent who thrives when working in dynamic environments. He has excellent communication and people skills, and an innate ability to break down and delegate work effectively. Project managers can see the big picture yet focus on the small details that make a project successful. If you're new to project management or have never used it formally in your organization, you might wonder what the fuss is all about. First, understand that every organization uses project management, even if they don't know it. If you use a spreadsheet to keep track of your work, you're effectively using "project management". If you have a notebook with a list of employees and their responsibilities for the day, you're practicing PM as well. Most organizations use a combination of formal and informal project management processes. Some stick to strict PM methodologies. Others improvise ad-hoc processes as necessary. When adopted formally by an organization, project management has the ability to bring much-needed efficiency and scalability to projects. PM processes have been refined over years of theory and practice to help teams deal with complex requirements in dynamic settings. Little wonder that nearly 60% of senior executives in a McKinsey survey said that "building a strong project management discipline" is a top-three priority for their companies. All these stats say the same thing: a shockingly large number of projects fail, and the failure is often attributed to management issues. Implementing formal project management processes has a remarkably positive effect on project success rates. Project management is a complex, multi-step undertaking. You have to gather data and insight from stakeholders, develop a plan, delegate work, manage resources and deliver results. Initiation: In this first phase, you'll develop a project overview, map out your project management approach, and pick a project manager. The latter, in turn, will select a team and start the planning process. You'll create a project charter at this stage. Planning: In the second phase, you (the project manager) will develop a roadmap for the project team. You'll set goals, define the scope, create a work breakdown schedule (WBS), identify milestones, and develop communication and risk management plans. Execution: The meat and potatoes of project management - this phase involves developing a team and assigning tasks, holding meetings, and setting up tracking systems. Much of the actual work of the project happens in this phase. Monitoring: This phase happens alongside the Execution phase and involves monitoring the team performance and managing its output quality. You'll track deliverables, project costs, and the performance of individual team members and the project as a whole. Closure: In the fifth phase, deliverables are handed over to stakeholders and the project is brought to a formal close. You'll review your team's performance and recognize their effort. You'll also analyze the project for flaws and take notes to improve future performance. I’ll cover these phases in more detail in the next few sections. Well begun, as they say, is half done. The first step in managing any project is project initiation. In this critical step, you identify the need and objectives of the project, define deliverables, and appoint the initial team. Getting this part right is essential for project success. Not defining clear goals or picking the wrong solution has a lasting impact on how the project pans out. Once you're done with this phase, you would have a concrete project charter. This document gives the project manager the authority to access resources required to complete the project. There are five key steps in the project initiation phase. Your goal in the project initiation phase is two-fold - a) develop a business case for the project, and b) build the core project team. When you first initiate a project, you have to first define the 'why' of the project - why does it need to exist? Why do you need the project right now? It's critical that you be as thorough and specific as possible when making the business case. The success of any project often depends on how accurate you are with your initial estimations of the results, costs, and timeline. A project that is delivered on time but with cost overruns compared to initial estimates is still an "unsuccessful" project. You'll usually present the business case to the project sponsor. The sponsor, in turn, will give the green light for the project and allocate resources for it. Once the business case is approved, you can undertake a feasibility study. The feasibility study is the process of documenting potential solutions to the problems and opportunities outlined in the business case. Your goal is to document which of the solutions are feasible, which are not. By involving the internal team and taking stock of past records, you can figure out the feasibility of each technological solution. The next step after undertaking this study is to develop a project charter. The project charter is one of the most important documents in any project. It is also one of the key deliverables at the end of the initiation phase. The project charter is essentially a summation of the previous two steps (business case and feasibility study). It defines the vision, scope, deliverables, and deadlines for the project. You'll answer the most important questions about the project in this charter - why it exists (project vision), who it impacts (stakeholders), what is its purpose (goals), and how it seeks to achieve them (solutions and requirements). A strong project charter has a broad vision as well as specific objectives. Finding a balance between the two is important for getting the most out of the project. For example, a basketball team’s vision might be to “win the NBA championship”. It’s specific objective, however, might be “score 80+ points in every game”. From the roles and responsibilities to the budget and deliverables, everything will spring from the vision and the project objectives. From here on, you can start building the project team. The next step after the project charter is to find the right people to deliver the project. Think of this as the ad you would write for a job opening. In fact, you can use the same description when you're hiring people for each role. Once you've defined each role, you can start searching for the right people for it, either from within or outside the business. 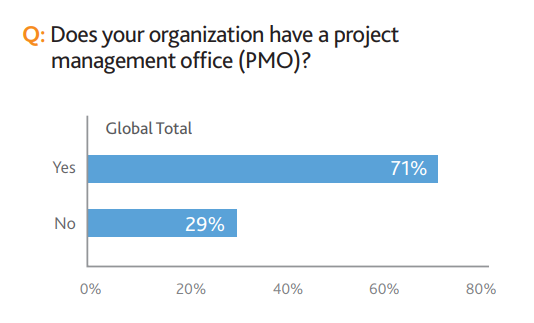 Although not always necessary, a dedicated project management office (PMO) can greatly impact the success of a project. The PMO defines the physical and the virtual space embodied by the project staff within a business. Not every project needs a dedicated PMO, especially if the project is small and unscalable. However, if your organization intends to undertake a lot of projects, it helps to have a separate physical space for the project management staff. Once you've set up the PMO, the project initiation phase officially comes to a close. You can now hand over the reins to the project manager who can go about planning and executing the project. The planning phase is self-explanatory enough: this is where you lay out the project plan, develop schedules, estimate costs, and establish performance indicators. Planning is necessary for developing the frameworks necessary for decision making as the project progresses from initiation to closure. The more complex the project, the more you’ll benefit from meticulous upfront planning. Developing the project plan is the project manager’s responsibility. He/She will have to interface with stakeholders, project teams, and sponsors to create the plan. You’ll want to consult records, analyze the organization’s capabilities, and use best-practices based on your chosen project management methodology and past-experience. The end result of this phase is the Project Management Plan (PMP). This is the single most important document in the life cycle of a project and defines how each of its activities must be undertaken. A project plan is essentially a summation of several activity plans covering everything from communication to risk management. Ideally, you should have separate plans for all these activities. The project plan is the first thing you'd create in the planning phase. This document identifies all the activities and tasks necessary to deliver the project's objectives. It also defines the resources, milestones, and timeframe for deliverables. You can think of it as a summary of the project's execution. You’ll use a lot of takeaways from the other plans (communication, change management, etc.) so it’s a good idea to hold off on making the project plan until the others are done. Communication, as we've stressed time and again, is one of the most important activities in any project. How you communicate with clients and more importantly, within your own organization has a huge impact on project success. Create templates for communicating scheduled events, deliverables, etc. There is a lot that goes into creating a communication plan. You need to identify and document best practices for both client-side and project-team communication. Refer to this article on communication plans to learn more about this vital planning activity. Read this article to set goals for your communication plan. Determining what tasks require which resources, how to procure them, and how to manage them is a big part of any project manager's job responsibilities. The project resource plan describes all of the above. It is based on the resource requirements mentioned in the original project charter, except it is much more detailed and specific. List of resources required for the project. This includes both human and non-human resources. If your project needs a camera to film a commercial, it should be in the resource plan. If you need a freelance editor to cut the commercial, you should have that in the plan as well - along with a process to hire one. Resource planning can be tricky in large organizations. You need to be cognizant of resource demands across projects. Some resources will invariably be shared. Using an organization-wide resource management software can help you plan out shared resources better. Another crucial part of resource planning is forecasting. Read this article to learn more about resource forecasting. A successful project is one that delivers its results under budget. 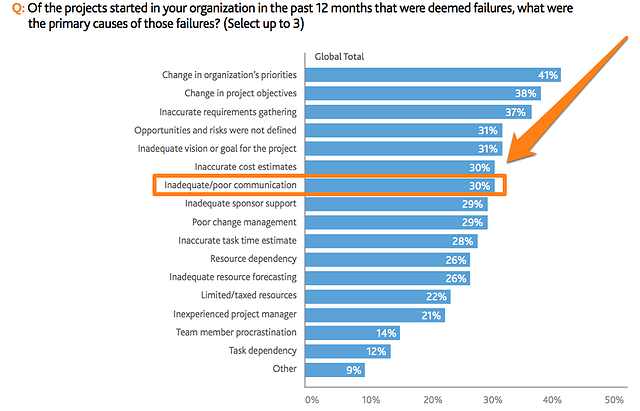 In fact, a PMI survey found that 29% of project managers cite "inadequate cost estimates" as a cause of project failure. To overcome this problem, creating an in-depth financial plan is crucial. The financial plan identifies all the expenses needed to meet the project's goals. This includes expenses on both human and non-human resources, tools, office space, etc. The sum total of all these expenses becomes the project's budget. A list of all expected financial expenses: For most creative projects, human resources is usually the biggest expense. Use data from the resource plan to figure this out. Specific figures for each expense: Once you have a list of expenses, give them a dollar figure. You might do this on a per hour basis (for human resources), rental costs (for equipment and office space), and purchase cost and quantity (for raw materials). An expense schedule: The expense schedule defines what expenses will be needed at what time. This is particularly important in long projects. The financial process: This describes the process for monitoring and controlling expenses throughout the project. It also includes a process for procuring additional budget, if necessary. The financial plan is closely linked to the resource and risk plan (see below). The cost and quantity of each required resource will depend on the resource plan. You will also have to keep a separate budget for risks and contingencies based on the risk plan. A strong financial plan needs a well-defined process for tracking project budgets. Refer to this article for 5 ways to track project budgets. Every project has some inherent risks. A key resource quitting the team halfway. A sponsor not releasing additional funding in time. A communication error resulting in delayed delivery. All these examples of potential risks a project manager has to contend with. The risk management plan describes these potential risks and maps out a process to tackle them. Developing a strong risk management plan requires a close understanding of industry best-practices and the organization's own history. For instance, if records show that the business has a 25% attrition rate in 6+ month long projects, it is reasonable to assume that some key team members will leave the project midway. Having a contingency plan to hire additional resources can help save the project. Therefore, study your organization and work with key project team members when developing the risk management plan. Ask project leaders what kind of issues usually crop up and the process to deal with them. Read this article to learn more about planning for risk on creative projects. As any seasoned manager will tell you, change is the only constant in project management. The scope and requirements of the project can change dramatically from initiation to final delivery. To deal with these changes, you need a change management plan. The change management plan describes the process for dealing with changes. It offers a concrete plan to list, evaluate, implement, and deliver any deviations from the original scope. Having a change management plan is vital, especially in long or complex projects. Not only will it make dealing with change requests easier, it will also ensure that the project stays on track. It's not unusual for stakeholder's requirements (or the stakeholder himself) to change halfway through a project. A clear plan will ensure that you keep stakeholders accountable and find a way to deal with their requests. For further reading, refer to this article on managing change on creative projects. 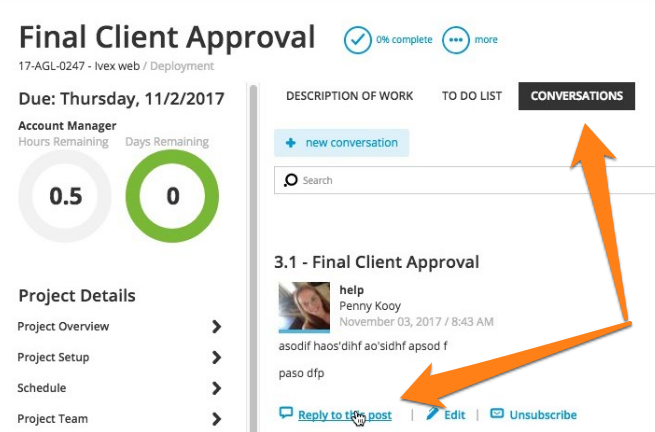 If your PM software can't accommodate change requests seamlessly, it might also be time to change your project management tool. Resources, communications, financials, risk and change management are the core pillars of the project planning phase. However, there are a number of other activities that affect a project’s success. You don’t have to create detailed plans for each of them, but depending on your business, it wouldn’t hurt to include them in your project plan. Procurement Plan: This plan describes all the materials and equipment you need to procure for the project, their estimated costs, and the process for procuring them including vendor selection criteria. Acceptance Plan: This describes the quality and time standards project deliverables have to pass to be acceptable to stakeholders. Quality Control Plan: This plan lists the quality control thresholds the deliverables need to pass to be ready for delivery. You’ll want to include quality standards for both internal and independent (external) reviews. Creating these plans isn’t always necessary. For example, if you’re a creative agency developing a website for a client, you likely won’t have much procurement. An in-depth procurement plan would make little sense. Figure out which of these other plans fit into your project, then map them out accordingly. Besides the above, there are a number of other documents you should have by the end of the planning phase. Project scope statement: This is a brief document describing the business need, objectives, benefits, milestones and deliverables of the project. Think of it as a summary of the project charter but with more specific details. Milestones: This is a list of high-level deliverables and their estimated delivery dates. Meeting milestones is usually a KPI for project success. Gantt chart: Gantt charts offer a visual timeline of the project's key tasks and their interdependencies. Refer to this guide to Gantt charts to learn more about them. Usually, your project management software should be able to help you create these documents. Most PM tools, for instance, have built-in Gantt chart capabilities and can help you map out your milestones. By the end of the planning phase, you will have all the information you need to execute the project. It might sound like a lot of work, but the quality of your planning will reflect in the ease of project execution. In the next two phases, you’ll tackle execution and project management. The project execution phase is where all the action happens. This can either be the easiest part of project management or the hardest. It all depends on how much effort you’ve put into planning. In the execution phase, you’ll manage the project team, hold team meetings, and communicate the project status to stakeholders among a host of other duties. You’ll use a number of communication and project management tools, and you’ll be expected to utilize PM best practices. All the activities associated with executing a project can be divided into several categories, each with its own skill requirements as shared below. Think of everything you need to successfully manage a project. You need a way to keep track of tasks and time, communicate clearly, delegate effectively, hold meetings, etc. Each of these activities is crucial for successful project delivery. Many are also interdependent. For example, if you can’t delegate work effectively, strong task management won’t help. If you can’t communicate clearly, holding regular meetings will be futile. To be effective at project execution, therefore, requires that you be effective at all its constituent activities. And what are these constituent activities? I’ll share some of the most important ones below. As a project manager, one of your most important duties is to manage resources. While nominally this means managing all resources - human and non-human - in most projects, it boils down to managing the project team. People are your most important resources, especially in creative projects. They can also be your biggest liability without proper management. Appointing a project leader based on past success records and project requirements. Appointing a project team based on the objectives of the project plan and the advice of the project leader. Establishing protocols for project communication, meetings, updates, etc. for the project team. Setting up systems to track the project team's activity and results. Assigning resources to the project team as per availability and requirements. You're never truly "done" with resource management during the project life cycle. It's an ongoing process. You'll move people in and out of the project as per need, communicate proactively, and work closely with each team member (especially the project leader) to ensure peak performance. While much of it is management, you also have a leadership role within the project team. Managing tasks and time are two closely related project activities. The former focuses on assigning tasks to the team and managing them until completion. The latter focuses on managing how the team spends its time on various tasks. If you've done your homework in the planning phase, you would already have a clear work breakdown structure and a Gantt chart to go along with it. This would tell you what tasks need to be completed, in how much time, and in what order. The next step is to assign each of these tasks to individual team members. You'll want to do this in consultation with the project leader based on the capabilities of each project team member. Once you've assigned tasks, you also need to manage them from initiation to completion. You can use anything from a prioritized to-do list to a kanban board to do this - it all depends on what your project management tool can support. Besides managing tasks, you also need to manage how your team spends its time. You'll use timesheets and time management logs to record this data. Most project management tools should have this capability built-in. It’s important that you align time and task management with your resource planning. You should have a clear idea of a resource’s availability. If a resource is taking too long on a task, it might impact his/her availability for another task or project. So take this into account when you do resource forecasting. Managing risks and change requests are two unrelated but somewhat similar activities. Both involve proactively monitoring the project for issues and accommodating changes, if necessary. If you've done your planning, you should have most of these risks already cataloged in the risk management plan. However, new issues can and will arise. It helps to track them all in a centrally accessible document - the "risk register". You (and others) can refer to this register when planning for future projects. How you deal with change will depend a lot on how the project is structured. An expansive project with hazily defined requirements will have lots of room for change requests. A smaller, more defined project might not be able to accommodate too many changes. One of your biggest challenges is figuring out how a change request impacts dependent tasks. You also have to look out for scope creep and ensure that the project stays on track. 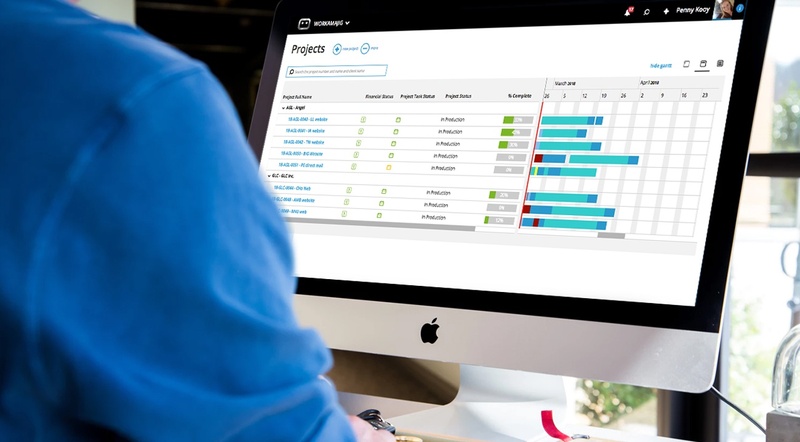 A project management tool that can accommodate changes seamlessly can certainly help. Communication is, without doubt, one of the most important activities in executing any project. You have to make sure that everyone on the team is on the same page, that stakeholders are well-informed, and that people have access to the right information at the right time. Doing all the above requires a strong plan and access to effective communication tools. For instance, you shouldn't have to send team members manual reminders about logging in or upcoming deadlines. Your project management tool should be able to send these out for you automatically. We've written extensively about managing communication. Refer to the articles below for more. As you might have noticed, project execution is mostly about putting the plans you created earlier into action. The better your plans, the stronger the execution. While you’re executing your plans, you also need to make sure that the project is meeting your quality standards and deadlines. This is the goal of the next phase - monitoring and control. Project monitoring & control is only a nominally distinct phase in project management. In practice, it takes place alongside project execution. Your goal in this phase is to make sure that the project meets your quality guidelines and deadlines without exceeding the budget. This isn’t about micromanagement; it’s about tracking the project’s progress and ensuring its compliance with the project plan. Think of yourself as a navigator with the project leader as the driver. Your job is to guide the project and make sure that it maintains course. Project monitoring and control involves a number of activities as I’ll discuss below. As Peter Drucker once said, "if you can measure it, you can improve it". To track the progress of a project, you'll first need to settle on your target Key Performance Indicators (KPIs). Ideally, you should have between 2-5 KPIs to measure project performance along different variables. 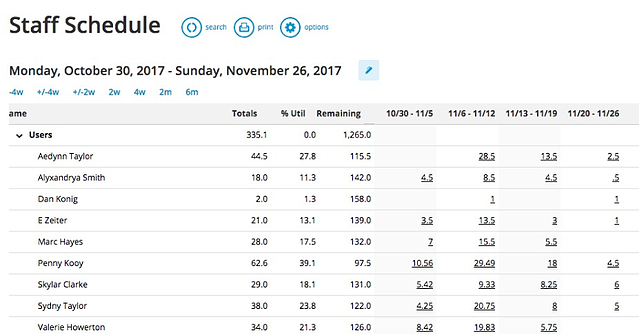 On-time completion: Track how many tasks are completed on-time, expressed as a percentage figure. This is a good indicator of the timeliness of the project. Budget variance: Track how much the actual budget varies from the planned budget (as a percentage value). Too much variance can tell you to rein in your spending. Planned vs. actual hours of work: Compare the difference between the hours of work as planned vs. the actual hours of work put in. If you're spending more time than planned, it might be wise to re-estimate the project schedule. Schedule variance: Compare the planned time and budget vs. actual time and budget spent on the project to date. The difference between these values is the schedule variance. A positive figure shows that you're on track and have additional budget left. Missed milestones: Track how many milestones you've missed and by how much. This will tell you whether you're on schedule or not. Missing too many milestones is an indicator of poor planning or execution. A project management tool should be able to display all these KPIs on a single dashboard. 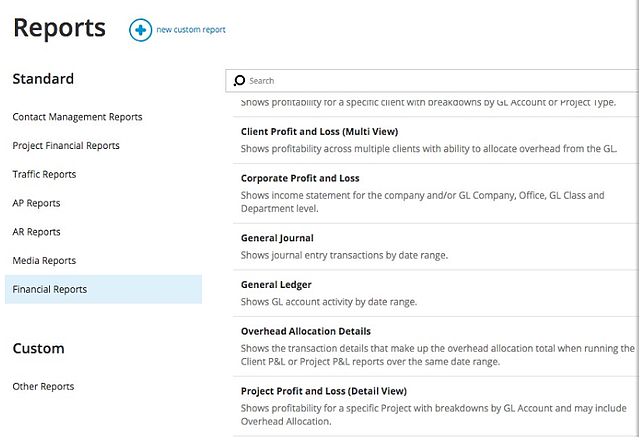 You should also be able to create reports with these KPIs for sharing with clients. How well your project team communicates - among themselves and with stakeholders - will have a big impact on project success. Thus, a big part of the fourth phase is monitoring and controlling communications. This involves tracking both the quantity and quality of communication. Strong communication activity metrics often correlate to a more cohesive team. Quick issue resolution with minimal back and forth can indicate clearer communication. Track communication activity metrics: Track the number of messages, chat threads, etc. on a daily and weekly basis. Too many off-topic messages isn't always a good thing, but it can indicate that the team is communicating well. Track issue resolution: Track how fast issues get resolved. If possible, also track the number of messages it takes to resolve the issue. Improving communication practices: Closely monitor the communication to spot any poor practices from any particular team member. Help them improve their communication skills by developing a set of best practices. Stakeholders are arguably the most important people in your project. After all, they’re the reason the project exists in the first place. A disengaged stakeholder can easily derail the project. If the stakeholder doesn’t sign-off on deliverables on time, is unavailable for meetings, or doesn’t offer clear feedback, it can lead to delays and even project failure. Figuring out what different stakeholders care about and establishing KPIs for each. Figuring out what communication channels, content formats, and schedule each stakeholder prefers. Communicating KPIs to each stakeholder as per their preferences. Developing a contingency plan in case a stakeholder can’t be reached for a vital task. Think of what your stakeholders want from the project. Communicate this value to them clearly and regularly to keep them engaged. Much of project monitoring and control focuses on tracking KPIs. There is a subjective portion to this as well in the form of the quality of the output (which can be highly subjective for creative work) and the general “vibe” around the project team. Once you’ve monitored the project to completion, you can switch over to the fifth and final phase - project closure. Once you've met all the milestones and handed over all deliverables, it's time to close the project. Project closure is where you learn from the project, recognize exceptional performance, and perform a final clean up of anything left behind. Project managers who thrive on learning understandably stretch this post-mortem phase to gather as much data as possible. The first thing you must do post delivery is scope verification. Scope verification is where you get together with the stakeholders and make sure that all the promises in the project scope are included in the final deliverable. If there must be any revisions or corrective actions, get to it immediately. Else, you can consider the project to be "closed". Once you're done with your analysis, you can close the project and take on a new challenge! That’s it for this guide to project management for beginners. You’ll find that all of the above is much easier if you have a dedicated project management tool. Take Workamajig for a test drive to see how it can help you manage projects better. How do you manage your projects? What kind of approach do you use? Share your experience with us below.